“Life of Puyi” is a talk about the last emperor of China, based on own research conducted by Beijing Postcards. This year marks 90 years since the boy emperor, Puyi, left the Forbidden City for good. When the young, bespectacled monarch was finally expelled from his palace, it was also the end of the Imperial governance of the Forbidden City. Hundreds of eunuchs, acrobats, soldiers, servants, etc. followed the ex-monarch into the dusty streets of Beijing and the most important institution in Chinese history was abolished for good. The film “The Last Emperor” is to many the first introduction to Imperial China. But what did the Imperial departure really mean to China? And what did it mean to Beijing? How is Puyi remembered today? Does his legacy in fact hold any significance at all? 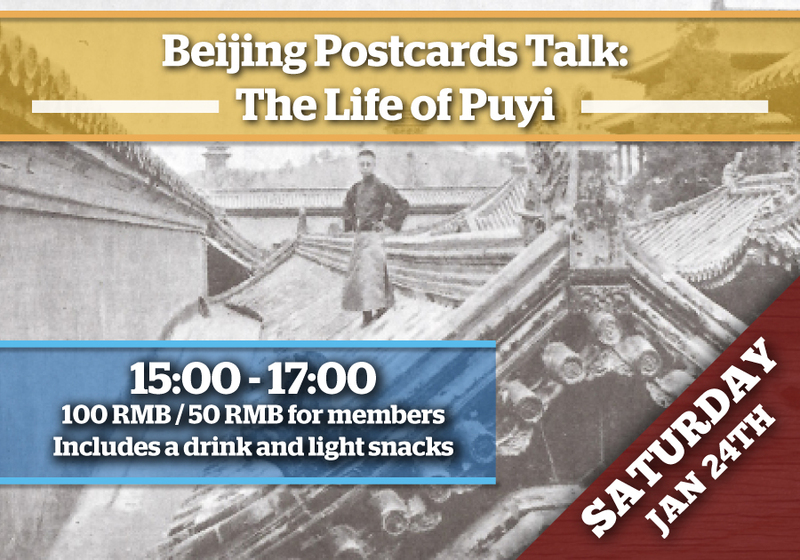 “Life of Puyi” is a talk about the last emperor of China, based on own research conducted by Beijing Postcards. Cost: RMB 100 (50 RMB for members), includes a soft drink or local beer and local snacks.